The Simple List is my way of pointing you to something redeeming on the webs, something thought provoking or eye-catching or soul-refreshing. I can’t keep up with all the good words out there but I try to curate a few things every now and then that might be of help. I hope these links are reminders of the simplest things that make a good life: truth, goodness, beauty. "Calling tends to be confusing because it implies there is a solicitation I’m still waiting on, an invitation lost in the mail. But now I’m starting to suspect that calling is far more invisible than I initially imagined, that it often involves an internal equipping instead of an external beckoning." Wait, I say, on the LORD!" This weekend we'll read the news and listen to the world cry out: justice! peace! retaliate! love! Balance the news with the Psalms. Balance your Psalms with Revelation. Add poetry to your war cry and go for a walk, away from the heartache. Let opposites live together and realize, again, that nothing makes sense because we are in a strange land, planted here and there as lights in the darkness. Hack the Facebook Algorithm for Spiritual Growth @ marcalanschelske.com. I shared this on my Facebook page last week but if you haven't read it yet, just do it. If you're on Facebook, take charge of it and make it work for you. This really applies to all our time spent online, whether it's social media or blogs or news or anything else. If you get that icky feeling after watching your minutes slip down the blackhole of the internet, make a change. Re-prioritize. Set up boundaries and curate your experience to work for you and not the other way around. Guard your mood and your time. The tough love guide to planning ahead (if you’re not naturally a planner) @ Modern Mrs. Darcy. This is me. For years I forced myself into planning, but it was never natural. I'm thankful for the tight schedules I made because I learned a lot, but I find I'm caught by surprise way too often now that I've let a looser-planning-mentality take over. Time to buckle down. On Memory @ Mt. Hope Chronicles. Heidi is stellar when it comes to good lists and food for thought. She's put together some great articles from various sources on the importance of cultivating memory, for adults and children, alike. This post is a treasure trove of beautiful thoughts. "Where we fail is in thinking that memorizing is an end. Rather, it is a doorway that leads to an exciting world. It is a sense of accomplishment for kids. It empowers them. It gives them a chance to practice delivery in front of people—a huge skill. It is an introduction to big ideas. It is sophisticated vocabulary and language patterns embedded in their minds." 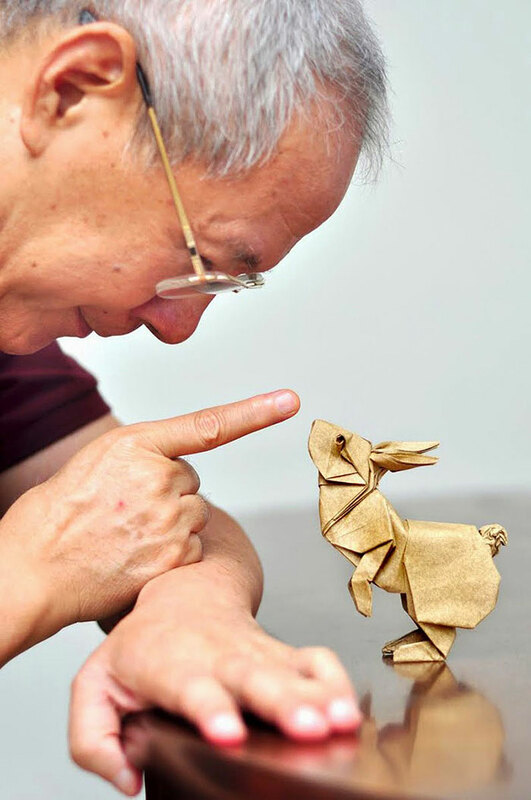 16 Stunning Works of Origami Art via Boredpanda.com. Paper is simple. Origami is beautiful. You need this. This Beautiful, Complicated Story @ christiepurifoy.com. Christie tells about her son's food allergies, but so much more. She just has a way, and while I can't imagine the constant vigil they've had to keep over every meal, I can imagine living a story filled with contradictions - we all do. Read this carefully. Maybe you will see a third way to tell your own story. "A transparent community is not simply one where we talk about what God did yesterday and how we came to enlightenment and grew and how today will be different. A transparent culture of confession is one where we say, “Here is where I am today and I am afraid I will always be like this and my inclination is to hide it away.” That is true transparency. That is true confession." How to Shock Your Kids @ well, Sharp Paynes. Maybe it's cheesy to put my own post here? But several times in the last few weeks I've searched my own site for "pumpkin spice latte" because, in my old age, I've discovered that I like the idea of a pumpkin latte more than I actually like the latte itself. This recipe I posted a few years ago is the only one I can handle now. So I keep searching the recipe again and again and it occurred to me that it is sometimes fruitful to read old posts. It's been too long since I've shocked my kids. We have donuts on a cake stand this morning - that should do the trick. I'm generally a hide-the-spinach-in-the-smoothie mom. Perfect read for all your mothering-anxiety this weekend. The Gospel is beautiful, but are people "too familiar" with it to truly listen? Have we watered it down, repeated it, and misrepresented it so much that we've worn the world completely out? This was an interesting look at Chesterton's ideas about presenting the Gospel creatively and overcoming the bias of fatigue. "He goes on to say that it is nearly impossible to present vivid facts to a person suffering from the bias of fatigue. Chesterton’s advice is that in order to meaningfully convey information about Christianity, a change in imagery may be helpful."